While people in the developed world are increasingly worried about sustainability in the face of environmental damage and social disorder, for a majority of the world's population the main concern is to escape from poverty and achieve adequate levels of nutrition, health and security. We believe it is possible to have both - indeed it is impossible to protect the environment without addressing poverty. Major initiatives by governments, global corporations and large NGOs are needed but they are crude tools, often inefficient and slow to reach the most needy. Small scale initiatives by local enthusiasts are far more effective but often struggle due to lack of funds and organisational skills. Sums of money that seem almost trivial to us can achieve a great deal in poor areas. The price of a meal in an average restaurant in Europe or the USA can support a rural social worker and her family for a month. Based on these beliefs, our approach is to find small organisations and individuals who are already working to improve the lives of themselves and their neighbours and support them in their efforts. We choose people who demonstrate vision, determination and courage. We rely on them to know their own society and its needs; we do not impose our own vision of development. We offer modest but regular, long term financial support and access to knowledge, ideas and skills training. By providing a minimum level of 'no strings' financing we enable people to develop their organisational skills, decision making ability and self-confidence. The results of our support are not a new school or clinic but a stronger organisation able to raise its own funds and sustain its work in the future. Better services and opportunities encourage poor families to move into the cities, adding to overcrowding and other social problems. 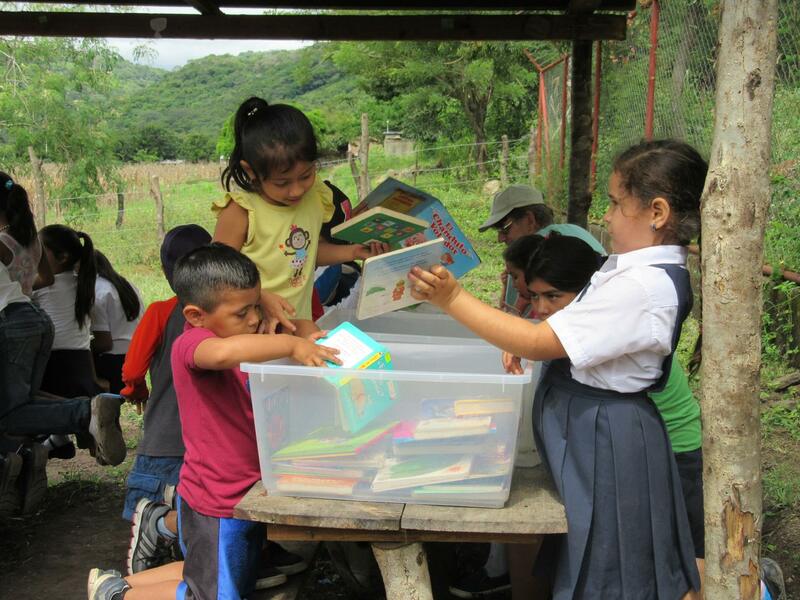 In the Miraflor Nature Reserve near Esteli, Nicaragua, the Bibliobus takes a mobile library and volunteer entertainers to visit village schools reducing the isolation of rural life. An eco-tourism program encourages villagers to build guest rooms and an office in town makes booking a rural stay easy. Rural families often rely on a cash crop like coffee and buy most of their food. In bad years they live on nothing but rice. Home grown vegetables can quickly improve their diet and health. Any surplus provides extra income. It sounds easy but requires new skills and knowledge not available in the village. Often the only available land is steep and difficult to work as here in Ruteng, Indonesia. Bored young people can quickly get into bad company and habits, especially in poor areas of cities; gang culture and drugs are a constant temptation. Learning to play an instrument well enough to perform in public takes time and effort but offers satisfaction and recognition. As well as musical skill they learn social skills, teamwork and self-respect. Here an older boy guides a beginner in Esteli, Nicaragua. Growing up in poor neighbourhoods youngsters face all kinds of social pressures, sometimes verging on abuse. These things are difficult to discuss, especially for those lacking confidence. Youth theatre groups provide a place to explore life's problems in a safe way and express real fears and hopes through role-play. 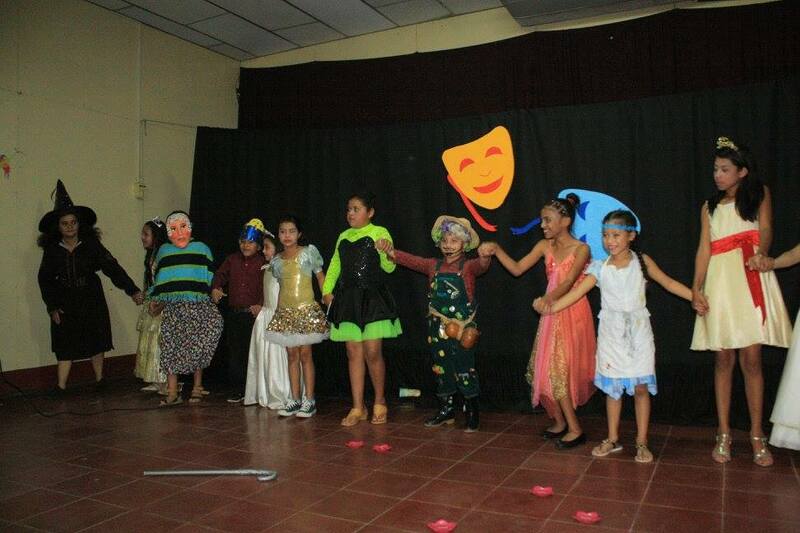 Working together to present a show to the public builds social skills and self-esteem. In many places people with disabilities are still hidden away from the outside world. Getting together with fellow sufferers allows them to live a more normal life, acquire skills and become self supporting. With the support of a self-help group many can lead a productive, independent life. The picture shows a shoe maker and his family in their home/shop in Tampaksiring, Indonesia. to improved health and greater self-esteem. 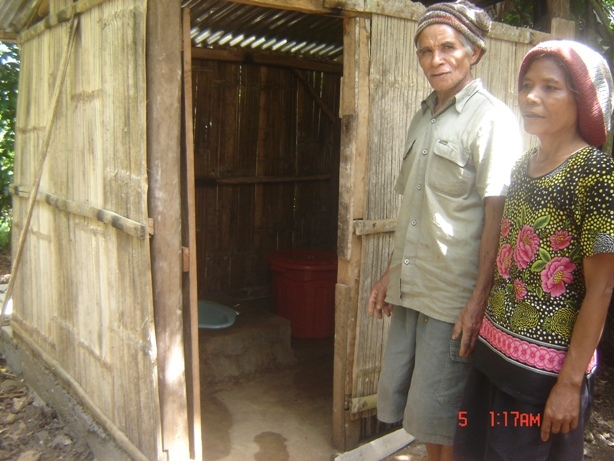 The picture shows proud new owners in a village near Ruteng in Indonesia.